Visit Lancaster, PA – Welcome to Amish Country! This is an area that tourists and visitors have grown to love. When you visit Lancaster County, you’ll discover Amish communities where life moves at a slower pace and centers around time-honored traditions and values. You’ll find Pennsylvania Dutch countryside dotted with one-room schoolhouses and wooden covered bridges, modern farm machinery being pulled by mule teams, homemade clothing, brightly-colored handmade quilts gently blowing in the breeze, and small furniture stores selling handcrafted Amish-made furniture. In Amish country, you’ll hear the sounds of farm animals and the clip-clop of horse hooves echoing down quiet country roads. 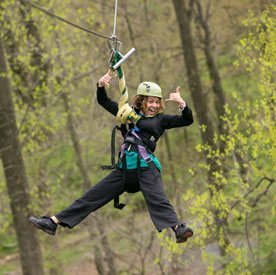 Amid the relaxing atmosphere and peaceful scenery, you’ll find a unique blend of attractions and entertainment, food, shopping, and lodging that help to make Lancaster County one of America’s favorite vacation destinations for all ages (see things for families to do). More than 8 million people visit Lancaster County each year (per the “Power of Lancaster County Tourism” 2016 report). Many begin by searching “Visit Lancaster PA” on Google and discovering all the area has to offer on their first visit. Then, they return here year after year because they find the Amish and Lancaster County experience so special. Our proximity to many of the mid-Atlantic population centers make this a convenient weekend getaway. We’re roughly an hour and a half from Philadelphia and Baltimore, two hours from Washington, D.C., and just three hours from New York City. Looking for fun things to see and do? 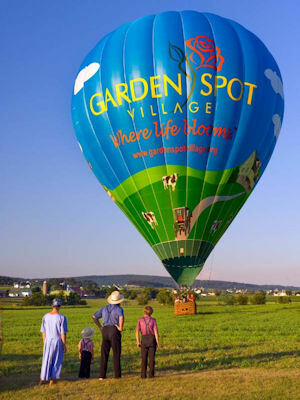 You’ll find it when you visit Lancaster County, from the thriving city life in historic downtown Lancaster to the charming small towns scattered throughout the countryside. With an abundance of attractions and fun things to see and do for all ages, combined with the unique culture and lifestyle of our Amish neighbors, Lancaster really does offer its visitors a break from the routine of daily life. Whether you’re planning an extended vacation, a weekend getaway, a day trip, or just something to do with the kids, we can help you find what you’re looking for. Plus, we can help you save money in the process with Lancaster coupons and our list of free things to do. Come and visit Amish country to discover all that makes Lancaster such a fascinating place. Make yourself at home in Lancaster County, even if only for a few days. You’ll enjoy the memories! If you’re familiar with Lancaster and the Pennsylvania Dutch, just dive in anywhere. We have tried to make this website easy to navigate. But if you’re not sure where to begin, start with our Things To Do in Lancaster page. Here, we’ll give you a brief overview of things you might enjoy. Then you can jump in deeper wherever you like. Order a Free Map and Visitors Guide. Call 1-800-PA-DUTCH to order your copy of the tourism guide, and it will be mailed to you. 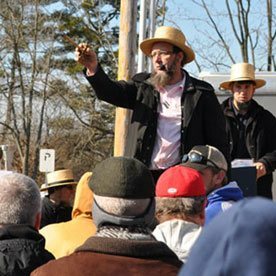 Wilkum to Lancaster County’s Amish Country!